Hasbro's been pumping out branded versions of classic board game Monopoly for ages. 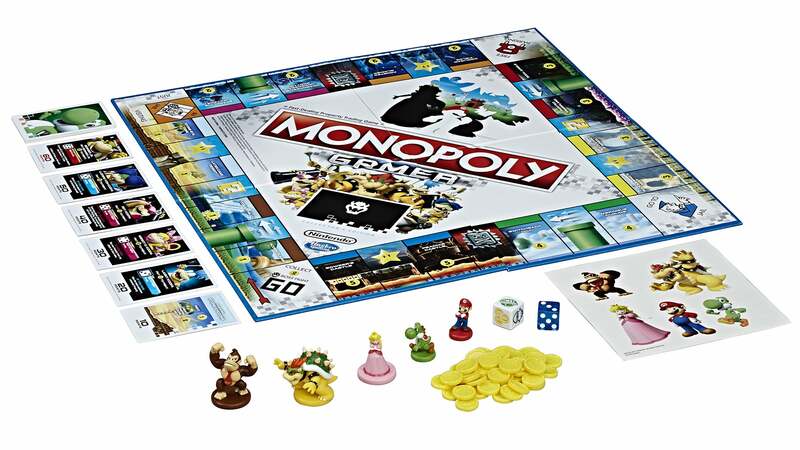 With token-specific abilities, power-up dice and boss fights, Mario-themed Monopoly Gamer is something different. The heart of Monopoly remains intact in Monopoly Gamer, which hits stores in August. Players roll the dice to travel around the edge of the game board, buying and trading properties. But the rest has been severely Nintendo-ised. We have two denominations of cardboard gold coins in lieu of colourful faux cash. Rather than Boardwalk and Park Place, these cardboard coins are used to buy properties like Bowser's or Peach's Castle. The game comes with Mario, Yoshi, Peach and Donkey Kong tokens. Each of the four characters has a "Super Star" ability, activated when they land on special spaces on the board. Mario rolls the game's numbered die and collects that many coins from the bank. Princess Peach collects rent on all properties she owns. Yoshi collects all coins on the board, and Donkey Kong steals three coins from each player. Does it have a secondary win condition aside from grinding your opponent to bankruptcy? ^^That's especially weird since Monopoly traditionally has 6 tokens available. I'm kind of amazed that Monopoly is still a thing, especially since its new strategy seems to be piling on the misery by reminding everyone playing that better games exist.